The Lark group is subverting expectations in New England by creating playful hotels that put an irreverent spin on revered forms. Normally New England is a byword for a certain reserved propriety and adherence to tradition. Behind every sober facade, though, lies a thirst for the unconventional — a repressed desire that seeks a suitable moment to reveal itself. For the region’s hotels, that moment has arrived. 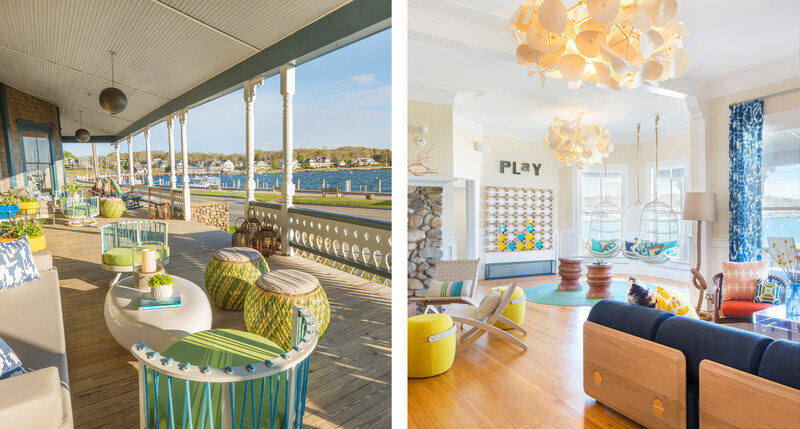 In the few short years since their 2012 debut, Lark Hotels has surprised the New England hospitality scene with hotels that choose playful eccentricity over steady conservatism. They do this not through shallow bluster, but by subverting expectations. 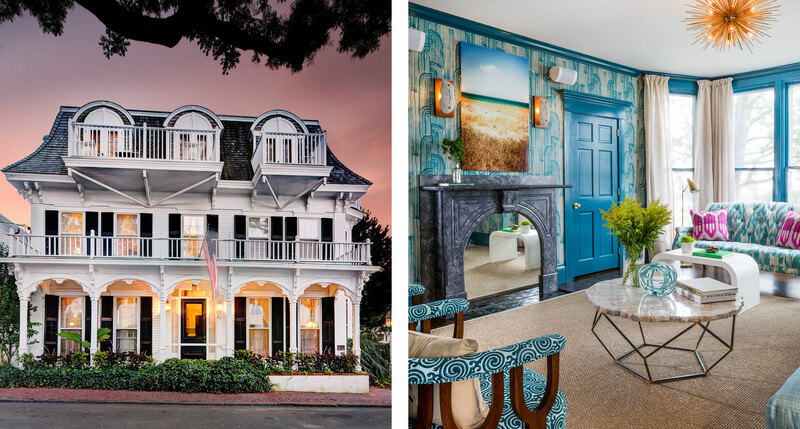 The pastoral vibes of the coastal Northeast have wide appeal, and Lark’s hotels steer smartly into the skid, infusing the history of their iconic locations with a dose of irreverence. The rebellious colors and streetwise accents might be blasphemous to a Brahmin, but they’re a welcome revisioning for travelers accustomed to a modern boutique hotel experience. Enjoy this closer look at ten of our favorite Lark hotels. 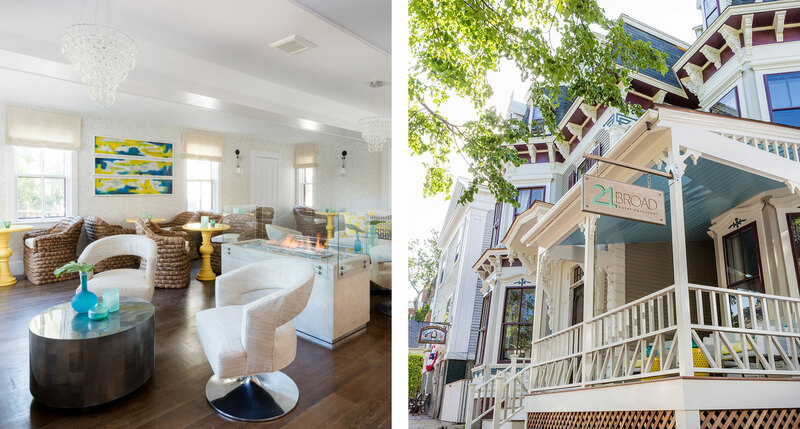 Made from a pair of Victorian houses in a residential neighborhood of Newport, Gilded (the hotel) flips the pretension of Gilded (the age) on its head. 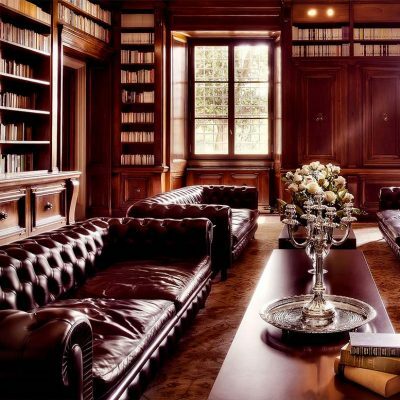 The Baroque and Rococo design styles of the late 19th century are acknowledged, but in a way that removes the oppression that comes with so much heavy ornamentation. The hotel never lets you forget that you’re here to have fun. 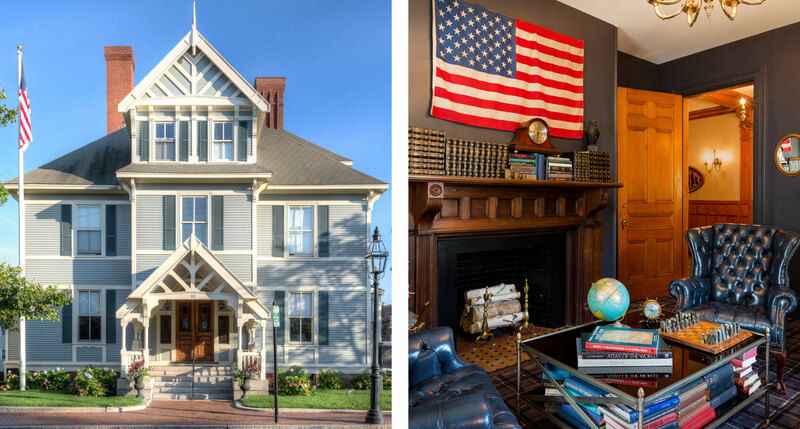 At first glance, the Attwater’s quirky style could be considered edgy by local standards — the location being the heart of genteel, historic Newport — but a closer inspection reveals a design that’s actually quite at home here, all threaded with subtle nautical references, and tinged with teals and navy blues that just look better this close to the Atlantic. Lark also isn’t afraid to mix in outside styles that seem far afield from the local traditions. 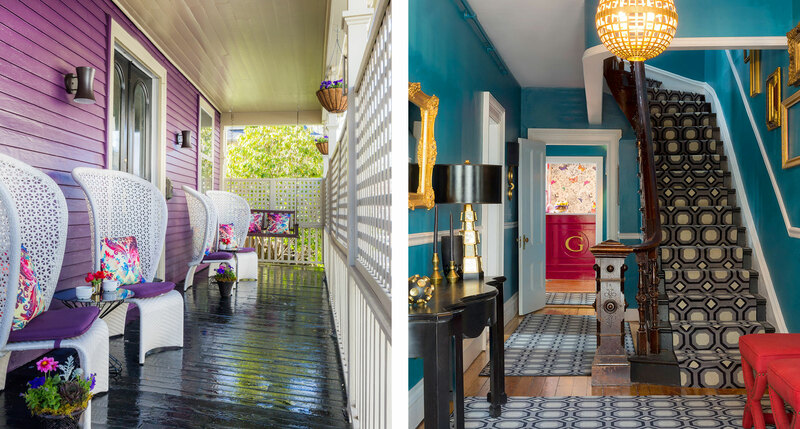 Case in point, The Christopher, which adds French Caribbean and mid-century modern influences to a 15-room Victorian inn that is otherwise quintessentially New England. 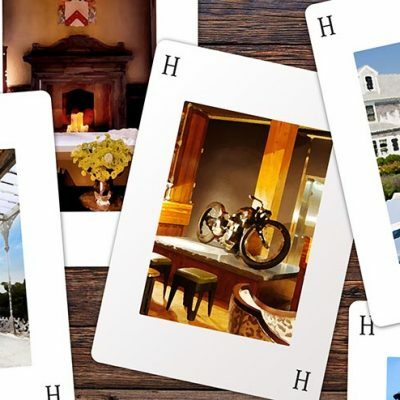 That type of adventurousness is no small matter in stately and upright Martha’s Vineyard. Within a group known for playful hotels, Summercamp may be the most playful of them all — and for good reason. 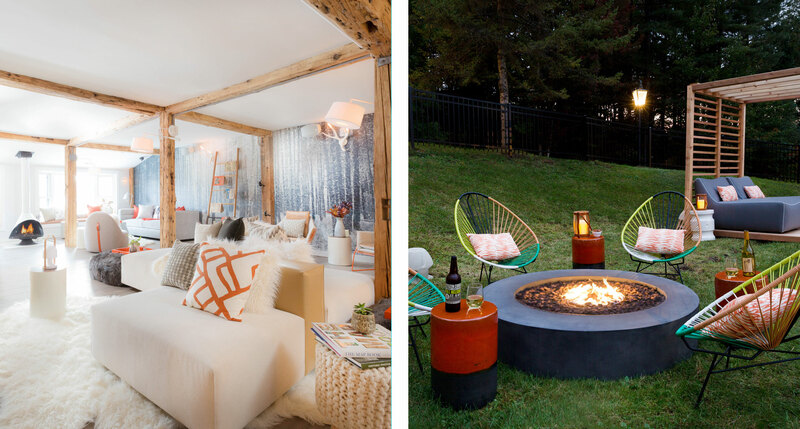 The hotel aims to bring to life an urbane, grown-up version of all of our summer-camp fantasies. It’s not a random goal, either; Summercamp’s neighborhood of Wesleyan Grove has a rich history as a Methodist camp destination. As an ornate Victorian in a town dominated by Federal-style buildings, the house at 21 Broad Street in Nantucket has always stood out. 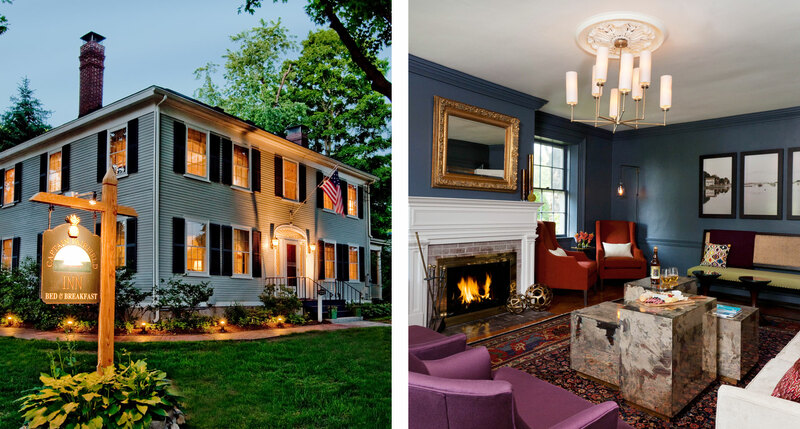 And now, thanks to Lark, it stands out even more — especially the lively new interiors, which are modern, to be sure, but complement a major restoration that was entirely historically correct, architecturally speaking. In the idyllic seaside town of Portsmouth, Lark accomplished something that always impresses us. 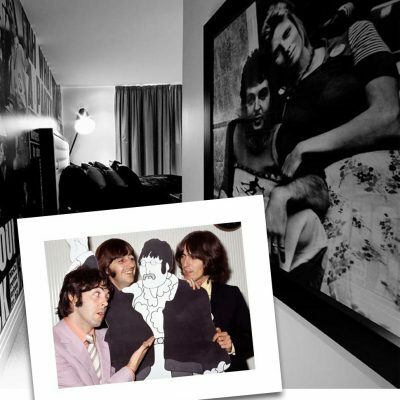 They took over a relatively small 1881-vintage Victorian house, added 32 new hotel rooms, and made it all blend together seamlessly. Wandering the halls, you never feel too separated from the charm of the original 19th-century structure — despite a generous helping of modern amenities. Just when you were starting to think that maybe the Lark concept is only for hotels located near the coast, Field Guide, in the classic New England mountain town of Stowe, comes along to show how flexible it can be. The style, particularly inside, combines Lark’s usual colorful, modernist-inspired design with a plush, rustic-chic vibe that’s a perfect fit for the surroundings. And just when you were starting to think that Lark dealt mainly in old Victorians…. 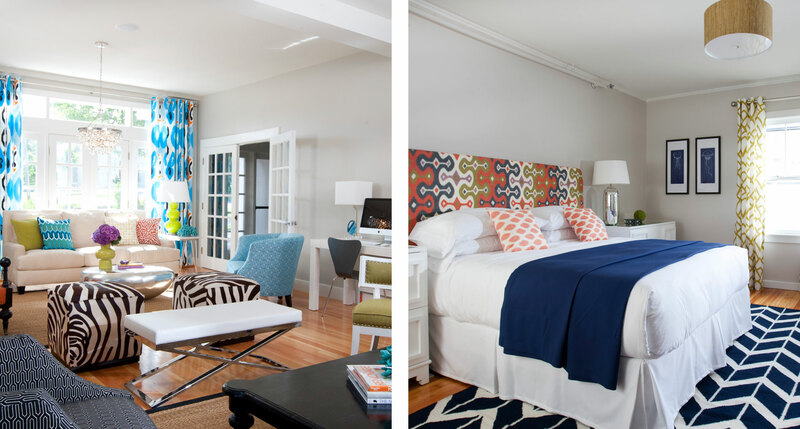 Captain Fairfield Inn is housed in a renovated 1813 Federal mansion in the charming maritime village of Kennebunkport. There’s a nice variety in the rooms here, with some feeling completely modern and others closer to the building’s former life as a sea captain’s well-appointed home. 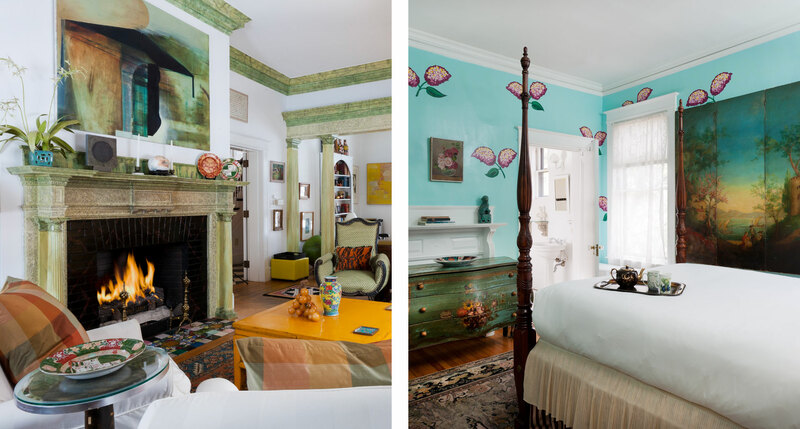 Perhaps inspired by the nearby Maine College of Art or the excellent Portland Museum of Art, Pomegranate Inn puts local New England artists front and center. The inn’s eclectic art collection is prominently featured throughout the hotel, ensuring that color, and lots of it, comes to the fore. It’s the second best thing about this B&B, behind their unparalleled breakfast. If you’ve mastered Maine’s more southerly coastal towns and you’re looking for a deeper immersion, Camden, nestled between the mountains and the Atlantic, is the logical next step. 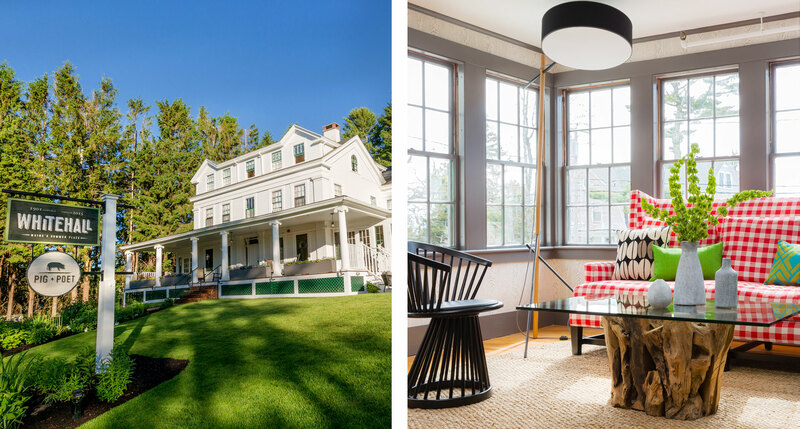 It’s also where you’ll find Whitehall, a renovated 1834 mansion that’s a vibrant tribute both to 19th-century New England and to mid-century modernism in its particular Northeast flavor. Well thanks for the warning; most of these look ok from the outside. Ghastly, juvenile, and welcome back to the 60’s man. I wish you people could wrench your minds out of kindergarten and return to some measure of sophistication. I wouldn’t stay at most of the hotels you’ve been presenting in the last year or so: your inspectors or whatever, (of course, CURATORS!) have been ruthlessly fascisti in presenting variations on the same dull theme. These places only put me in mind of primary coloured children’s nurseries, and possibly yet another wilful act of boomer (and their childrens’ strange indentification with a past that never was) self obsession. Fun, not. Having such a terror of elegance only gives way that there is none in the experience of the beholder. Joyce, variety is the spice of life! Why so harsh? Hi Joyce, despite the playful appearances the Lark hotels are actually quite sophisticated. Even better, they provide a lower price point for those travelers who can’t afford New England’s more traditional luxury hotels. As we mentioned a few weeks back, the beauty of the boutique hotel boom is that there’s now something for everyone. The vibrant colors and overall fun vibe of these hotels take me back to my childhood-oh no! Being from RI, I appreciate all the great designs that are being added to these hotels, which enhance the beauty of the area surrounding them. And give us something to look forward to! I recently stayed at the Pomegranate Inn and really loved it. I generally prefer a hotel to a bed and breakfast, but they do a really nice job. I wish you all had more recommendations for Maine, there are definitely cooler places than what you have listed. Happy to help add to your list! Have discerning taste, will travel. Maybe Joyce will come with me, she sounds fun. Also, stayed at the Attwater a couple of summers ago and enjoyed it. Definitely interested in checking out other Lark properties.